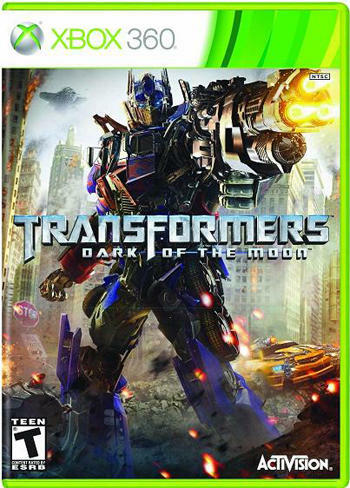 Transformers: Dark of the Moon is a new game that shares the name of the third film in the series, but instead of just being a game version of the movie, it will fill in gaps of the story of what has happened since Revenge of the Fallen. Transforms: War for Cybertron was released last year by High Moon Studios, and it was easily the best game ever based on the franchise. Set as a prequel to the overall story of the alien race of robots, I gave the game a fairly positive review, and seeing as this one will be based off of the same game engine with a few minor tweaks, odds are it will be another winner for fans of the story. While the same basic transformation mechanics will exist, a third option is being added called Stealth Mode that will allow any Transformer to have weapons while in vehicle mode, not just those that transform into things such as fighter jets or tanks. As you can see in the video above, Bumblebee retains his familiar Camaro alt mode, but now he spring out weapons when they're called for, mixing the mobility and speed of being a car with the firepower of his robot mode. While the films may be critically panned, the overall Transformers universe is still popular with fans, and this game definitely looks set to keep them coming back for more. Games will be available for the Wii, PlayStation 3, Xbox 360, 3DS and DS. What do you think? Do you have any interest in turning into a car and fighting the forces of the evil Decepticons?